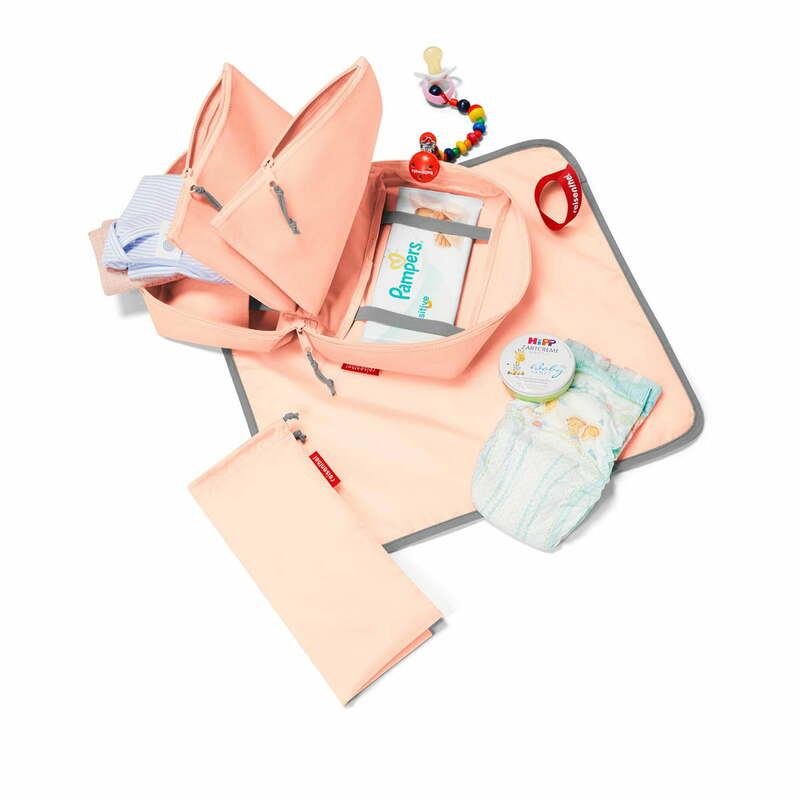 Thanks to the babycase by reisenthel, parents will always have the essentials for their little one while on the go. The practical nappy bag is manifold, ensuring you are always prepared for any emergency. Part of the bag includes two separate inner pockets for creams, pacifiers and other small items. The elastic inside is ideal to store wet wipes. A larger pocket offers space for nappies, clothing, or toys. Moreover, the babycase is equipped with a separate, washable changing mat to easily change nappies, wherever you are. An additional bag with drawstring keeps dirty laundry and diapers separate in case there isn’t a bin nearby. Made from waterproof, tear-resistant polyester, the babycase is the ideal bag for every situation. Well organised and equipped with the most important things, there is nothing stopping you from a extended outing with children. Isolated product image of the reisenthel - babycase in pink. 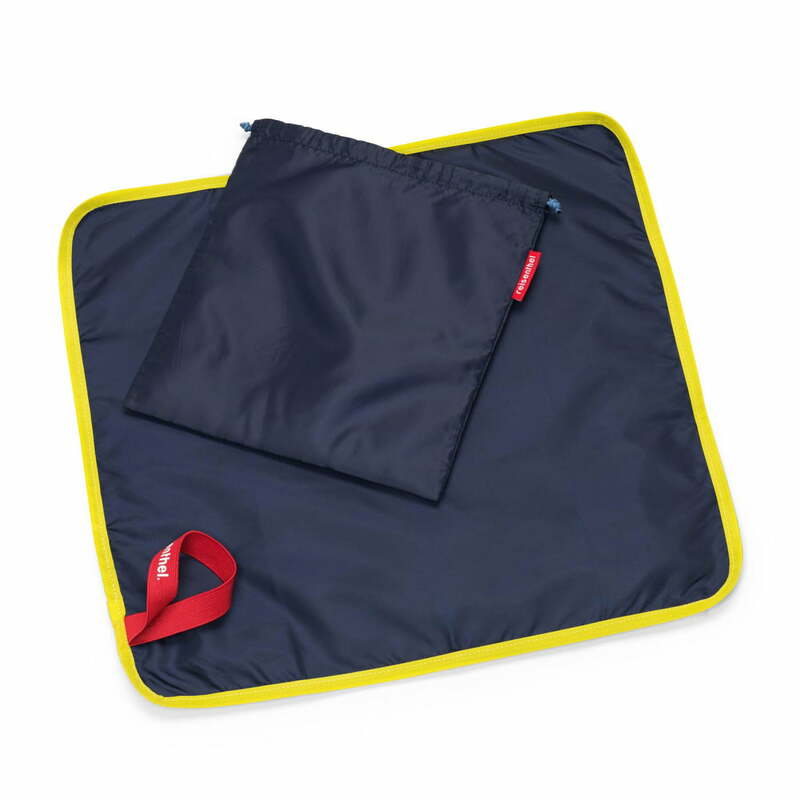 The practical nappy bag is manifold, ensuring you are always prepared for any emergency situation. Isolated product image of the reisenthel - babycase, pink. 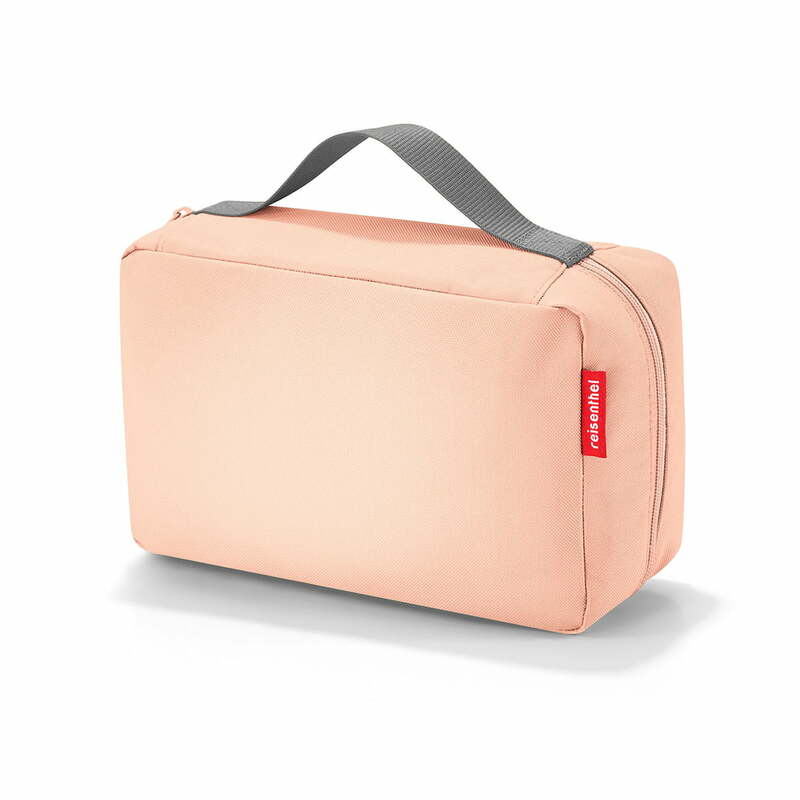 Thanks to the babycase by reisenthel, parents will always have the essentials for their little one while on the go. Isolated product image of the reisenthel - babycase, navy. 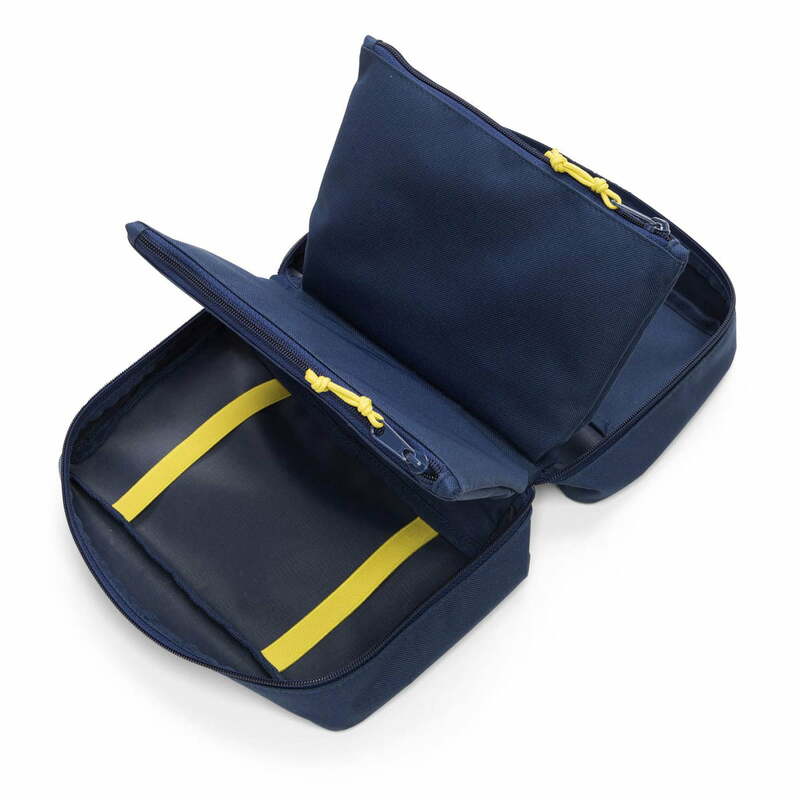 Made from waterproof, tear-resistant polyester fabric, the babycase is the ideal bag for every situation. Isolated product image of the reisenthel - babycase, navy. In addition, the babycase is equipped with a separate, washable changing mat to easily change nappies, wherever you are. An additional bag with drawstring keeps dirty laundry and diapers separate in case there isn’t a bin in the proximity.